At Glenn’s Auto Repair, we often get asked what’s included in a standard tune-up. The answer will vary from garage to garage, but generally this is a type of preventative and proactive maintenance which targets problem areas and resolves small issues so they don’t increase in size. Most tune ups include a thorough engine check, to make sure there are no leaks, and that it sounds and feels right when the vehicle is running. For a closer look at some of the other ways a tune up can improve your vehicle, check out our list of tune up benefits. Better Mileage: A tune up can fix all the little things going on in your vehicle that you may not have noticed are causing you to shell out more on gas. For example, if your brakes are sticking, it could be causing your vehicle to guzzle more than usual. During the tune up, your brakes will be inspected and brake pads might be replaced. Poor fuel mileage could also mean that your tires aren’t properly aligned, which is causing them to rotate at an odd angle, and increase friction on axles and against the road. A tire rotation and alignment can easily fix this issue and help reduce the amount of gas your car uses to drive from home to work and back. Fix a Rough Ride: Let’s face it, as your vehicle ages, it just doesn’t run as smoothly as it used to. Maybe you’ve noticed it shaking a little bit, or having a bit of difficulty getting started in the morning, especially when it’s cold. A power check and energy check by your mechanic can diagnose both these problems and determine what’s causing the rattling and why your vehicle isn’t holding power the way that it should be. From the starter to the exhaust, there are hundreds of internal components which could be the cause. A certified mechanic can find the problem and fix it so that you don’t have to ride uncomfortably from point A to point B. Glowing Lights on the Dash: Each of the warning lights on your car is designed to tell you something, unfortunately not every driver is bilingual in car diagnostics. For this reason, our professional team of mechanics will work to uncover what the warning lights mean, why they’re on, and how to fix them quickly and effectively. A Thorough Check-Up: Think of a tune up for your car the way you would a medical check up for your body. It thoroughly inspects working components, finds problems, and allows them to be healed. Just as your physician might prescribe medicine to fix an ailment, your mechanic will suggest having something serviced to improve handling, decrease the chance of a breakdown, and give you an overall better ride. During a tune up, your mechanic will perform a code scan to check for ignition troubles or exhaust leaks. He or she will also take this time to check everything from valves, rings, and gaskets to battery voltage and engine leaks. Your mechanic may not always find an issue during a tune up, which is great news to those who love their vehicles, but in most cases, there will be one or two things to fix before you’ll want to drive again. The important thing to remember following a tune up, is that your mechanic is giving you the opportunity to fix small ant hills before they turn into mole hills. We’d much rather help you repair a small part now, than need to perform a major overhaul later. 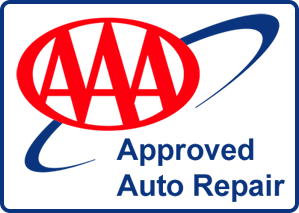 Glenn’s Auto Repair is a small family run business, and we feel that each client becomes a part of this family as well. Our top priority is to provide you with high-quality service every time we work on your vehicle. To help keep you safe while you drive, and to keep you from overspending in the future. For more information on Glenn’s Auto Repair, our tune up services, preventative maintenance, and other types of auto services, contact us today! Our team of experienced staff is always happy to meet new and existing customers, and will work with you to schedule an appointment with our mechanics at your convenience.